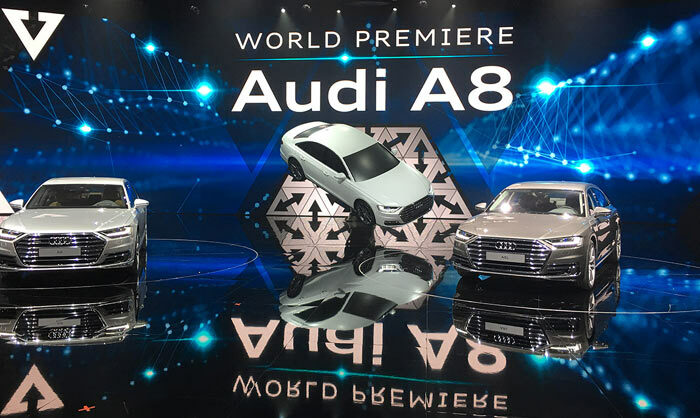 On Tuesday at the Audi Summit in Barcelona, the automaker revealed its new flagship 2018 A8. This will be the world’s first Level 3 autonomous driving car to go into production, according to Audi. Powering this highly autonomous vehicle will be a multitude of Nvidia designed systems, seven in all. The most important monitor sensors in and around the car for AI assisted driving but Nvidia also supplies the infotainment system, virtual cockpit instrumentation and headrest tablets for backseat passengers on fully equipped models, reports TechCrunch. So what is Level 3 on the autonomous driving scale? It means that drivers don't have to pay attention to the road under certain conditions. With the Audi A8 drivers can relax and ignore other road users when the car is travelling at speeds under 37mph (60kmh) or while on a highway with a physical divider between the sets of directional lanes, like a motorway. Another requirement is that local laws permit the autonomous AI to take over. The AI alerts the driver when it is time for them to take back control. 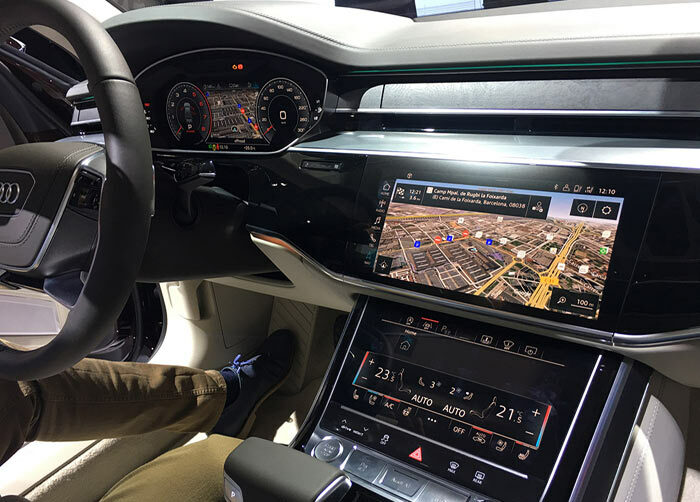 The central system behind the AI driving is referred to as Audi’s Zfas driver assistance system and one of its greatest effort saving components is 'Traffic Jam Pilot'. Letting your car get on with dealing with traffic jam driving will ease the burden on drivers and they can be assured that Nvidia's tech has built-in redundancy to ensure the system is safe. Multiple sensors, like radar, camera, laser scanning and ultrasound, collect and cross-confirm road data. The Nvidia processors in the car process an astonishing 2.5 billion inputs per second. Level 3 autonomous cars will feel like a significant step up from Level 2 assistance, which always requires user attention, as in Tesla Autopilot vehicles. However, the step up to Level 4 would mean that the 'driver' should not need to do anything at all in the car, except to decide where to go. From what I'd read this won't be enabled straight away, I doubt we'll see it until late 2018. Also technically the Tesla's can do this also up to 45mph as only above those speeds does it require you to hold the steering wheel. I know what modern cars are like, though… The instant something goes wrong, breaks or just wears out, it will be a complete nightmare trying to track the flippin' fault down!! While I've no doubt some people are completely comfortable with autonomous cars i don't see them having mass appeal, i suspect most people will have difficulty giving up partial control for levels 2 and 3, both those levels require the human component to work together with the machine, something history has shown humans struggle with, both level 2 and 3 risk humans depending on the machine too much and not being willing or ready to take control in an emergency. I presume that like Tesla these cars will be reporting back to VAG what they are up to? That is the real value of the Tesla autopilot, it generates masses of test and training data to get level 4 working, and the existance of that data at Tesla is why I think they will be the first to get there.